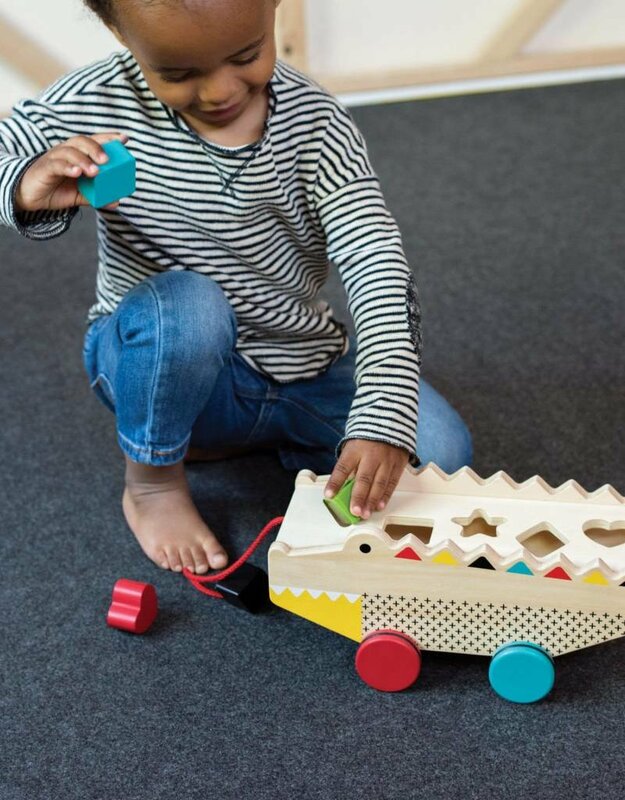 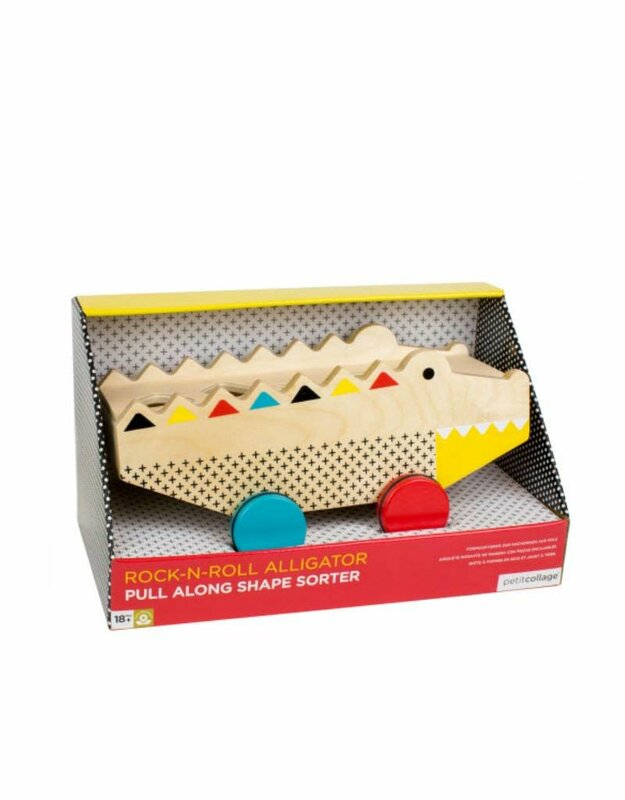 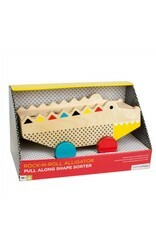 Take this friendly wooden alligator for a stroll or stop for some shape sorting fun. 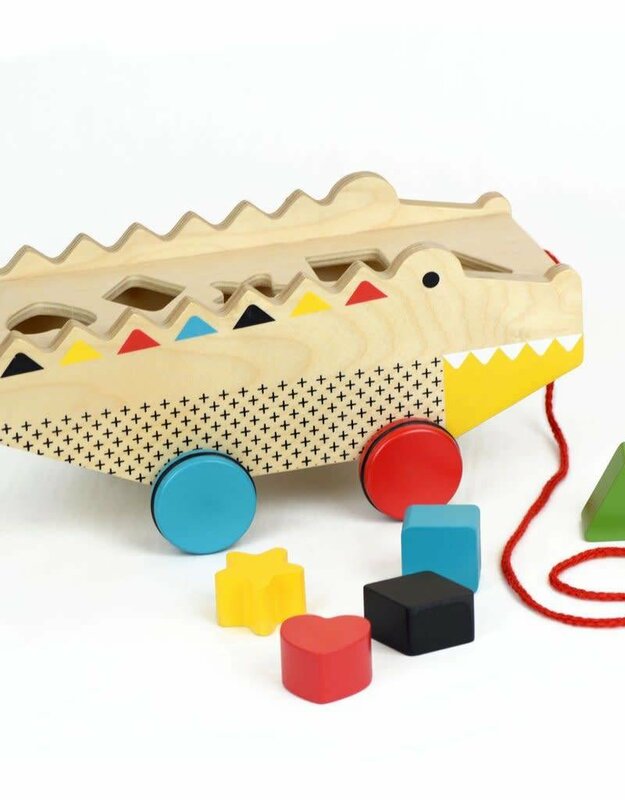 This̴Ì_ multi-purpose product offers hours of fun as either a pull toy or shape sorter.̴Ì_ 5 chunky wooden shapes fit easily into the matching holes on the shape sorter, while the 4 chunky rubber lined wheels glide smoothly on any indoor surface. 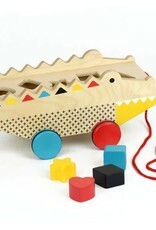 Crafted from durable wood this product will race around your home and offer many years of fun.